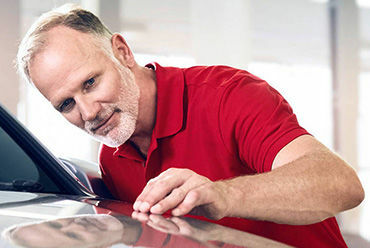 When it comes to preserving or restoring the beauty of your Audi vehicle, you can trust the experts at Bill Matthews Audi’s detailing department. From simple interior and exterior washes using the best products, to comprehensive detailing packages that will have your Audi looking brand new, we have everything you need at Bill Matthews Audi. Visit us today at Bill Matthews Audi and discover our wide range of Audi detailing packages that include everything you need to prepare your Audi for the changing seasons, protect it from the elements, and preserve its resale value. At Bill Matthews Audi, we can get rid of those stains inside your Audi, and we can also protect your upholstery and keep it looking brand new. Our technicians have years of experience detailing Audi vehicles, and they only use the very latest equipment and products to keep your vehicle in showroom condition. To learn more about our detailing packages as well as special offers on all of our detailing products and services, contact us today.